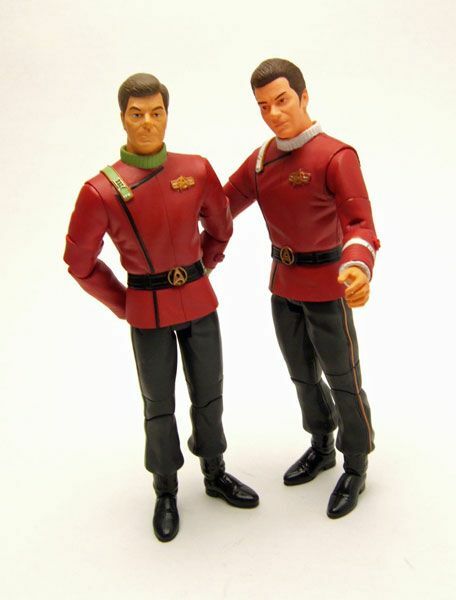 Bones was released as part of the second wave of "Star Trek II The Wrath Of Khan" figures. The entire wave was comprised of retailer exclusives launched at San Diego Comic-Con. 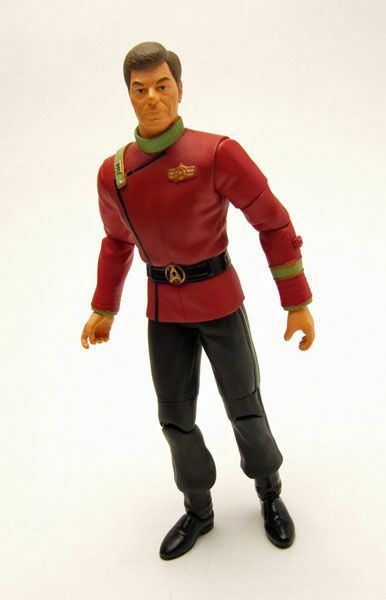 McCoy was the New Force Comics entry. The Rundown: He's the one they call Dr. Feelgood...He's the one that makes ya feel alright! Ah, what Trek line would be complete without the good doctor? NONE! 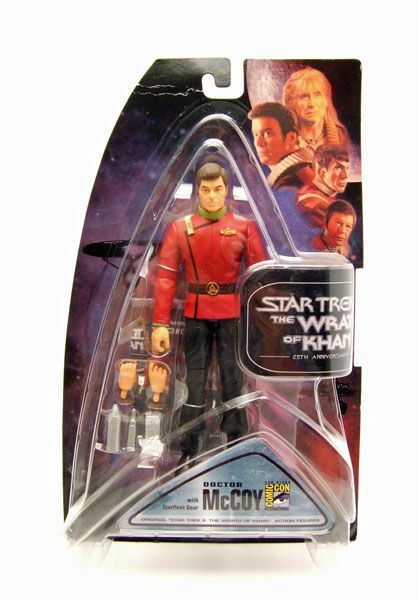 McCoy here is a "must-have" character if there ever was one... So how's he look in TWOK style? Let's take a peek! 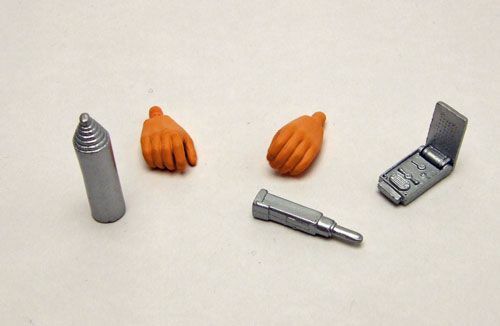 Just like the other TWOK figures, there's some parts reuse going on here. 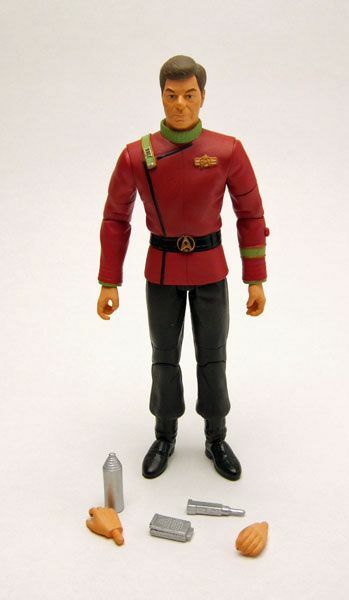 I've said it before and I'll say it again- I have no problem with reused parts on figures when it makes sense, and in the case of similar uniforms and body types... it makes sense. Across the board, the paint work on my all my TWOK figures is pretty solid. McCoy is no exception, with clean lines all around and no major messy spots visible. The detailing is especially nice and really shows the effort that went into this line during it's heyday. The TWOK figures have some of the best articulation amongst AA/ DST's catalog in my opinion. Of particular note is the nice "ball-and-socket" joint on the shoulder, which looks great and offers a nice range of movement. 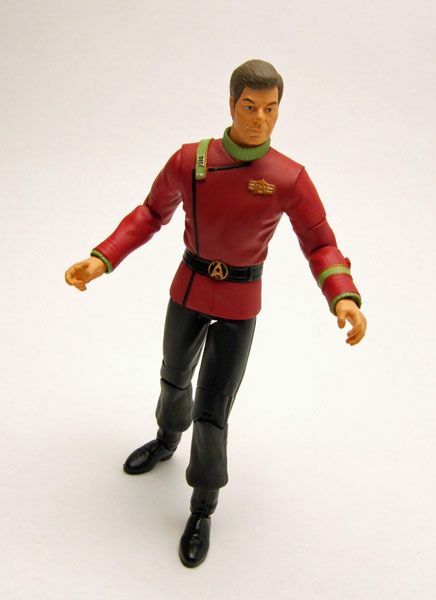 They also made the lower piece of the tunic in a rubbery material as to not restrict the hip movement too much. Nice! Accessories: If I have one gripe on Bones, it's with the choice of accessories. 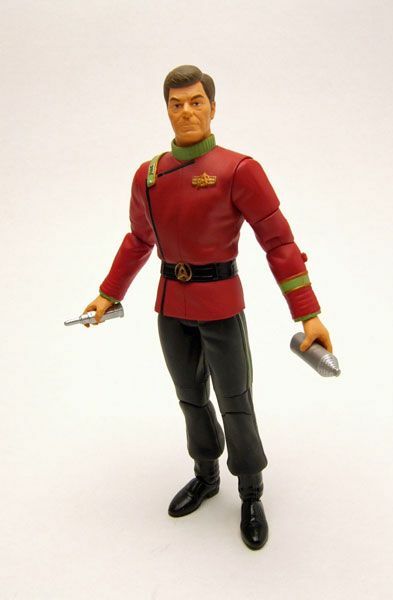 McCoy includes a medical tool, 2 extra hands, a communicator, and a bottle of Romulan Ale (which I didn't even realize was a bottle of Romulan Ale since it's painted silver...). 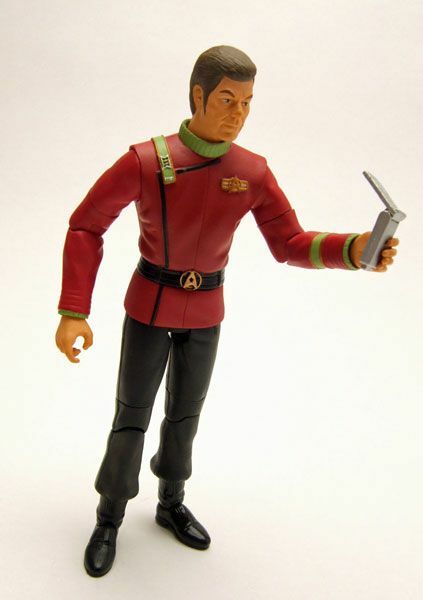 I would have loved for him to include a phaser or a tricorder... but what can you do? thankx for sharing.nobody around here sells these guys.theyre cool. Nice Review Sallah! 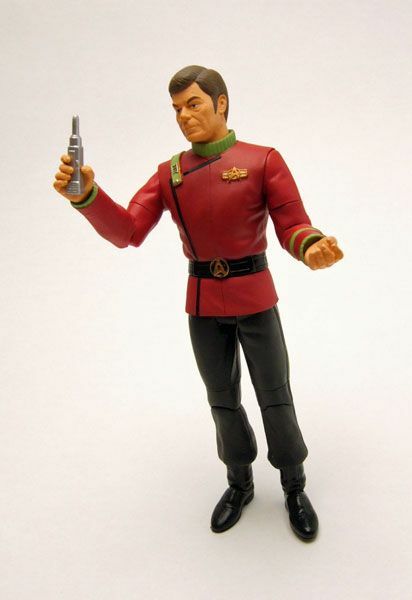 I think one of the accessories may be a bottle of Romulan Ale which McCoy gave the Admiral for his birthday gift. Ha! You are totally right KorTar! The silver color threw me... I'll update the post!